Are you interested in giving your business office area a complete makeover? 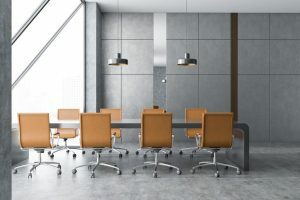 While tearing down walls and buying highly expensive office and lobby furniture might be one part of the answer, you can also improve your office look with less expensive choices. Installing new lamps and changing your lobby are just some of the things you can do to modernize the appearance of your beautiful office. One of the best method of changing your office appearance and making sure it looks more modern without putting too much money into the equation, is to buy new lamps and light fixtures. If you truly want a modern looking office space, a single, bland, central lighting fixture with an incandescent bulb will no longer cut it. Consider buying multiple lights and fixtures fitted with LED lights and artistic looking patterns and designs. Art deco style lamps are becoming fashionable again these days, but the wide array of choices available at your disposal should be enough to help you choose one or more modern lamps that are fully suited to what you’re looking for. If you have conference room tables, one of the best methods is to retrofit with a new table top. With a new top made from metal or granite or glass, you can make your conference room look a lot more sleek and even brand new. Moreover, a more durable table top will make sure you don’t have to worry about repairing or replacing your table any time soon, so it’s fine if you want to splurge a little. The same goes for selecting the right desk top. Modern desks typically use glass or wood tops, but there are other options like metal you can consider as well. With a higher contrast difference between the design and colors of your office space, you can achieve the genuinely modern look that you’ve been searching for. The flooring of your office might need a good makeover, and it’s also better to repaint the walls and perhaps remove the texture or materials that were in place before. Hardwood and carpet flooring is considered the best choice by most experts, especially if you want a modern looking office. However, stone or tile is also an option, when it comes to getting a more unique look. As for the paint, consider colors that are softer, but work well to highlight high intensity LED lights. Some of these options would include grey, white or beige color choices, but darker, high contrast options also work for modernizing your office appearance. Finally, one of the best signs that you have a modern looking office is to buy new desks, ergonomic chairs, and modern lobby furniture. Modern looking office furniture and cabinetry can be practical and considered to look great in a modern office. You can store a lot of items in office cabinetry, and they are considered an excellent asset, especially if your office has limited space and you have to make do with what you have at your disposal.